BIRMINGHAM , Alabama, July 25 – The National Center for Sports Safety announced today that 2004 Athens Olympics silver medalist, 2009 New York City Marathon champion, and 2014 Boston Marathon champion Meb Keflezighi will be running in the Birmingham Wine 10K on March 2, 2019. Keflezighi will be running in the race and pacing a group of race participants. He will also be attending the post-race festivities to meet race participants and distribute awards. With his silver medal performance in Athens, Meb became the first American to win an Olympic medal in the men’s marathon since 1976. In 2009, Meb became the first American to win the New York City Marathon since 1982. 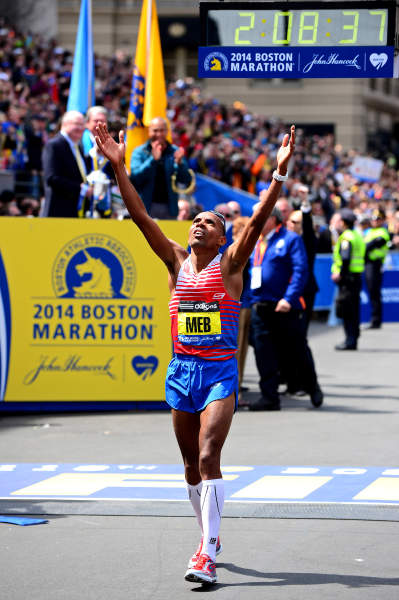 In 2014, the first Boston Marathon after the bombing tragedy of 2013, Meb became the first American men’s champion since 1983 in what will go down in history as one of the great American running triumphs. He is the driving force behind the MEB (" M aintaining E xcellent B alance") Foundation, which principally promotes healthy living and other positive lifestyle choices and motivation for school-age youth. His continuous work with youth athletes is a natural fit for the National Center for Sports Safety (NCSS), which promotes safety on and off the playing field for all youth sports. After attending San Diego high school in California, Keflezighi attended UCLA, where he would become a four-time NCAA champion and all-American. Meb is the only athlete in history to win the New York Marathon, the Boston Marathon and an Olympic marathon medal. Additionally, he has won twenty-three national championships and a place on four United States Olympic teams. Transcending his own athletic achievements, Meb maintains an unwavering commitment to helping others go the distance in their own lives—physically, professionally, personally, and spiritually. The National Center for Sports Safety (NCSS) is delighted to announce a new partnership with lululemon and Birmingham Wine 10K to be held on Saturday, March 2, 2019. A USATF certified point-to-point net downhill course, the race starts at Patriot Park in the residential neighborhood of West Homewood for the first half. Runners will then get on the asphalt paved Lakeshore Trail to the finish and end with a celebration at Lakeshore Plaza. Runners and walkers of all paces are welcome and encouraged to participate! This is a USAT&F certified event (AL16007JD). Complimentary Training Program: Participants will receive an 8-week training program to follow with their training friends and if local to Birmingham, led by lululemon and Birmingham Wine 10K run ambassadors around our great city. Stylish Swag: Each runner will receive an exclusive Birmingham Wine 10K etched wine glass, and a uniquely designed lululemon finisher medal. Runners will enjoy our traditional race sponsored giveaways and events leading up to race day, with an added dash of exclusive events with lululemon. Complimentary Race Photos: Once again, runners will be able to download their race and post-race party photos for free. Enhanced Cheer Stations: Runners will be treated to unique on-site cheer stations featuring local entertainment planned by lululemon. Post-race Party: Runners and their families will be invited to a post-race party including a DJ, stretching and yoga, great vendors, food trucks, and an overall really good time. COURSE HYDRATION: In an effort to promote responsible running, hydration stations along the course will provide water and Powerade ONLY. CANCELLATION STATEMENT: This event will occur rain or shine, hot or cold. We reserve the right to cancel in extreme circumstances. In that event, there will be no refunds. Entry fees will be considered a donation to the National Center for Sports Safety. Birmingham Wine 10K is proud to offer a Team Competition for the Fastest Team and the Largest Team! 1. All teams will consist of a minimum of 5 members. There is no maximum number of members per team. Each team must include at least 2 females in their team scoring. 2. The team captain must register first to create / name the team. Team members may then register and join the team. 3. A minimum of 5 team members must register for and complete the 10K race. 4. Scoring - For each team, top 5 overall places based on chip time will be added and must include at least 2 females. The fastest overall time wins! 1. Teams can consist of any number of runners. There is no minimum or maximum number of members per team. 3. Scoring – The team with the most number of registered participants WINS! 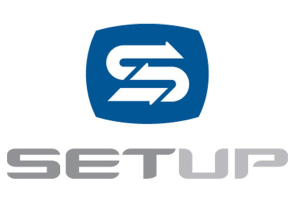 The winning team will receive great race swag and be awarded an Automatic External Defibrillator (AED) valued at $1,325.00 to gift to a youth sports organization of their choice! PLEASE NOTE: You must register by 12:00 pm (noon) on Monday, February 18, 2019 to be guaranteed your preferred t-shirt size. NOTE: ONLINE REGISTRATION WILL NOT BE AVAILABLE ON RACE DAY AND WILL CLOSE AT THE END OF PACKET PICK-UP ON FRIDAY, MARCH 1ST. YOU MUST PICK UP YOUR PACKET AT THE FINISH LINE (LAKESHORE PARK PLAZA). 1. Participants are encouraged to park at the Finish Line (Lakeshore Park Plaza, 2204 Lakeshore Dr, Birmingham, AL 35209). Participants may park at the Start Line (Patriot Park, 710 Oak Grove Rd, Homewood, AL 35209), but please note there will be NO SHUTTLE SERVICE after the event. 2. SHUTTLE SERVICE will run from the Finish Line (Lakeshore Park Plaza) to the Start Line (Patriot Park) from 6:30 a.m. to 7:45 a.m. Shuttles will depart from the parking lot at Lakeshore Park Plaza. 3. Participants must present their run bib number in order to board the shuttle. Spectators are not permitted on the shuttle. 4. Race Day Packet Pick Up will take place at the Finish Line (Lakeshore Park Plaza) to enable participants to pick up their run bib number prior to boarding the shuttle. 1. All participants will have the option to check a gear bag at the Start Line (Patriot Park). 2. Gear bags will be transported to the Finish Line (Lakeshore Park Plaza) for collection. 3. This is an optional service. Limit of one bag per participant please. All 10K finishers will receive a custom finisher medal. New design for 2019 to be announced soon! PLEASE NOTE: Overall awards are based on GUN TIME. The first 5 male and female runners to cross the finish line win! PLEASE NOTE: AWARDS WILL NOT ALLOW FOR "DOUBLE DIPPING" / CASH PRIZES WILL ALLOW FOR "DOUBLE DIPPING": For example, if you are a Masters male / female who places Top 5 Overall, you will be pulled out of the Masters category and will be awarded in the Overall category. However, you will take home cash prizes for BOTH your Overall placement AS WELL AS your Masters placement. In addition to receiving an Age Group award, both male and female Age Group WINNERS in all divisions will receive Lululemon apparel. PLEASE NOTE: Age Group awards are based on CHIP TIME.